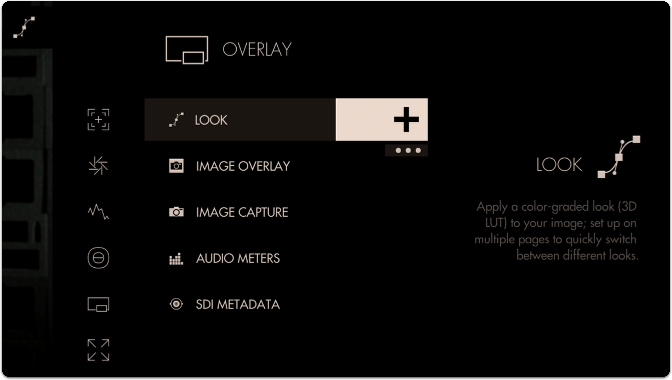 Once you get your monitor plugged in via HDMI, check out this guide for a quick overview of the interface. The entire monitor is based on the concept of customizable Pages - instead of having to enable and disable features individually when needing to change a setup, create pages with a task in mind, for example setting exposure, and quickly swipe between each page on-set for a highly efficient workflow. For a zoomed-out overview of your pages, swipe down on the monitor. Let's start by creating a new page by swiping over to the far right and tapping on 'New Page'. The Settings Page, which controls settings that affect the entire monitor is always located to the far left. Available from any page, Pinch-to-zoom activates the 'Pixel Zoom' function, giving you a clear view of your signal for critical focusing & catching tiny details. 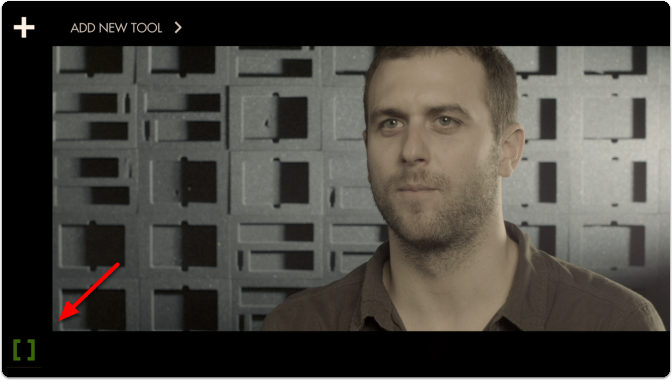 Let's make this into a 'focus + framing' page that we can flip to for composing our shot and nailing focus. 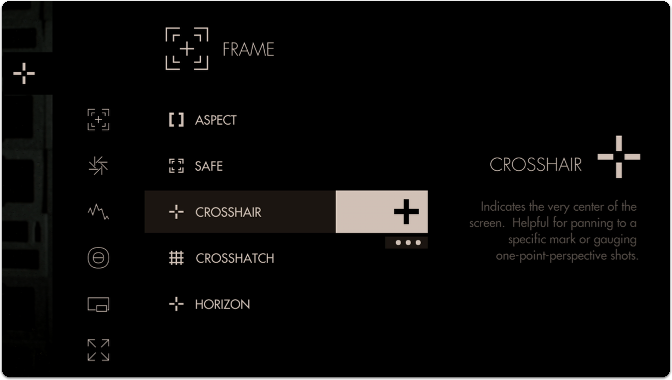 This will include a focus assist, a crosshair for accuracy performing pan/tilt and custom frame guides for a cinemascope aspect ratio. Tap the screen to bring up the 'add new tool' menu. From here navigate to Focus (1) > Focus Assist (2) and select the '+' (3) to add Focus Assist to this page. 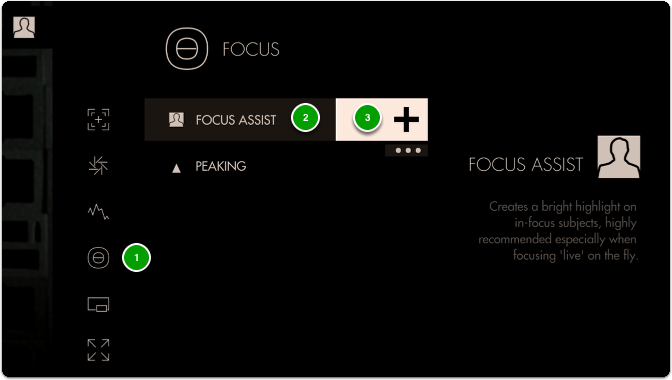 Focus Assist will paint a highlight around areas it determines to be in focus based on small/harsh changes in contrast. The Peak Threshold is a bit high, meaning we are picking up extraneous edges on the back wall which are not quite in focus. To fix this, edit Focus Assist by tapping on it when it is highlighted in the tool bar, and navigate to Peak Threshold. Bringing Peak Threshold up to around 30 does a better job of causing only in-focus areas to activate the filter but this is ultimately a balance that may need tweaking depending on the camera/shot. 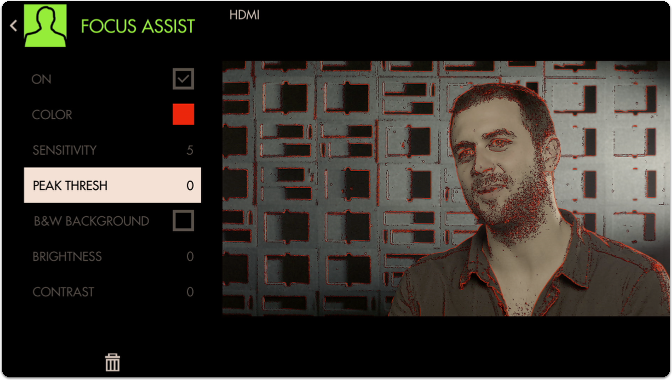 To make the effect more visible we can boost up the Sensitivity and change the Color. 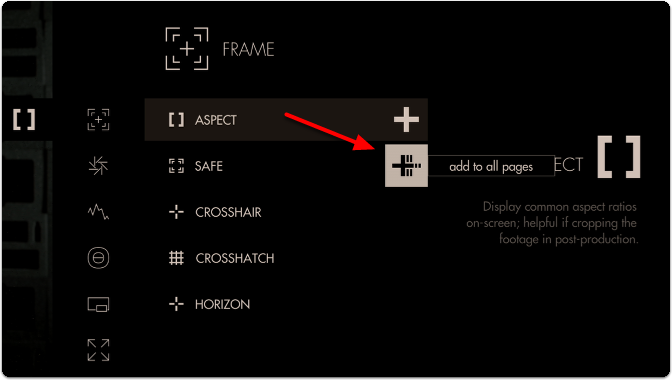 Finally we can add an Aspect Guide to all pages simultaneously by going to Add Tool > Frame > but this time press-and-hold Aspect briefly to keep the menu up then tap the three dots under the '+'. 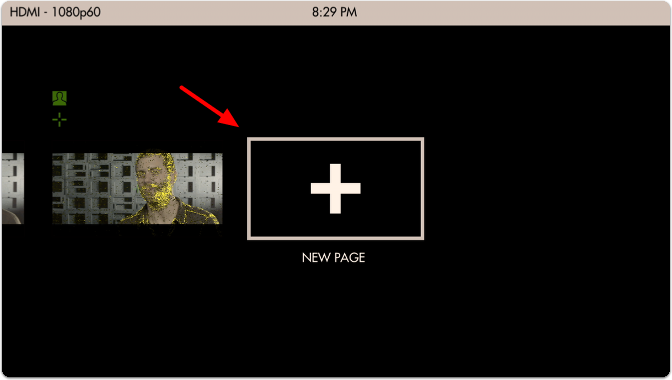 Next tap the pictured icon to add Aspect Guides to all pages. This will ensure you are able to view this tool on every page of the monitor, and any edits to it are made globally. 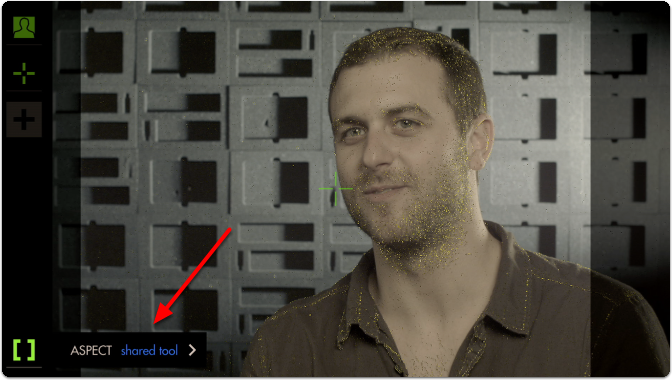 Any tool can be added to all pages, including scaling adjustments and Look (3D LUT) files. By default the Aspect Guide is set up for a 4x3 aspect ratio for times when you're needing to preview the cutoff area of an old-school monitor. Tap on the Aspect Guide to edit the tool. 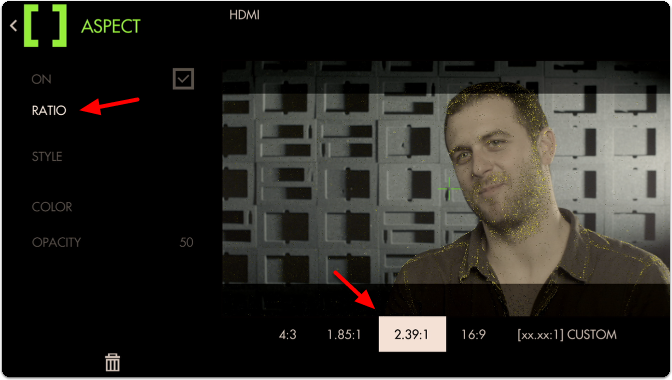 Navigate to "Ratio", select it and change the aspect ratio to "2.39" for cinemascope viewing. 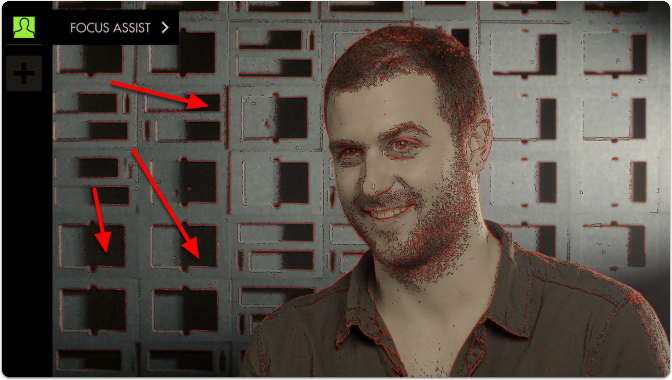 Next move down to 'Opacity' and increase its percentage to view the guide becoming more opaque for a more visible effect. 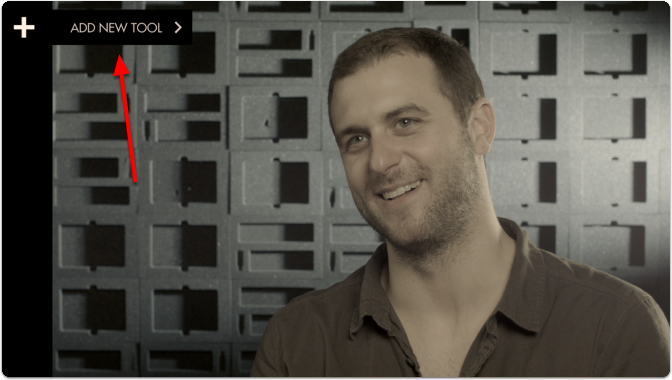 Now we have a page that lets us focus our shot and frame it up properly for the common 2.39 aspect ratio. 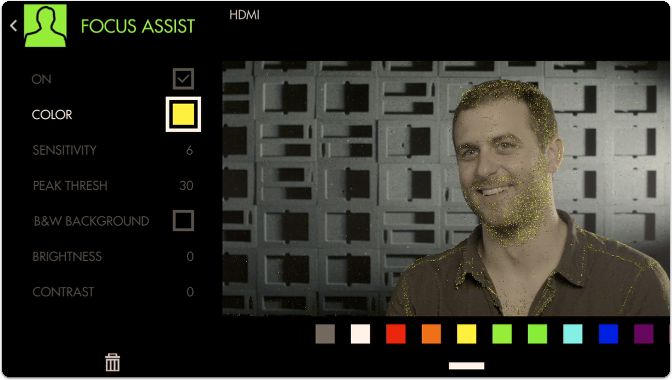 Look files (3D LUTs) are a great way to visualize color grades without 'baking' anything into the footage - great for testing out different looks on set. 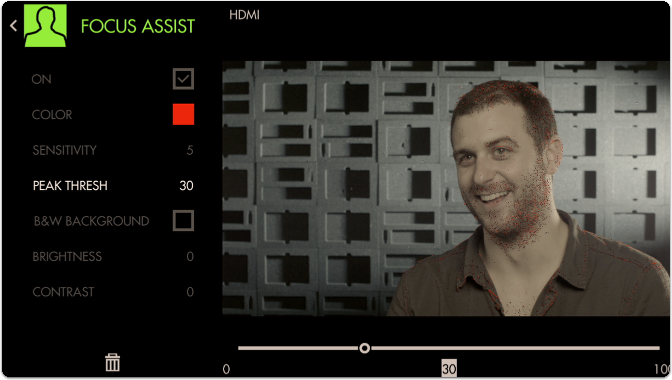 Try our free 'Movie Looks' pack which can be placed on an SD card for use on your monitor or at any point in post production. Let's add a Look to a new page - start by swiping down to navigate back to the zoomed-out view, move to the far right and select 'New Page' once more. Notice how when you add a new page, the Aspect Guide that was set for 'all pages' shows up automatically. 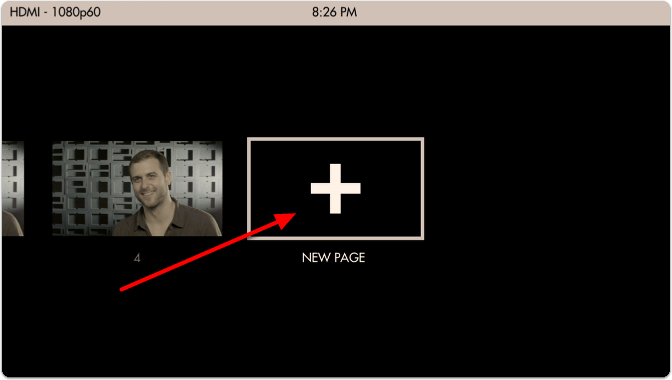 Tap to add a new tool, navigate to Overlay > Look and select the '+'. 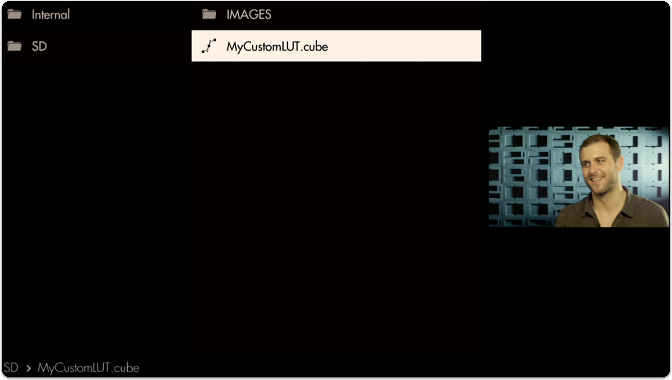 You will immediately be presented with a file browser to select a 3D LUT file. If you have any on an SD card, insert it into the monitor and it will be visible here. 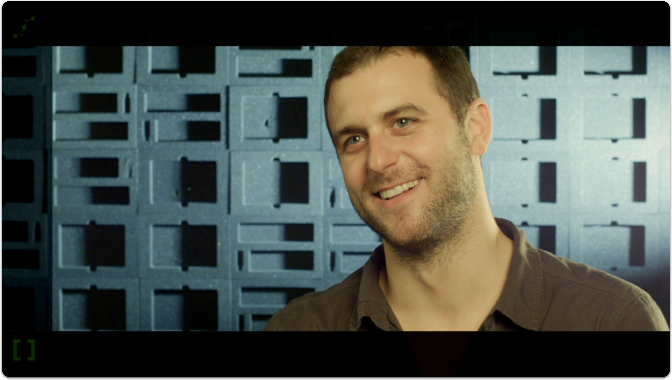 Selecting the LUT applies it to this page. 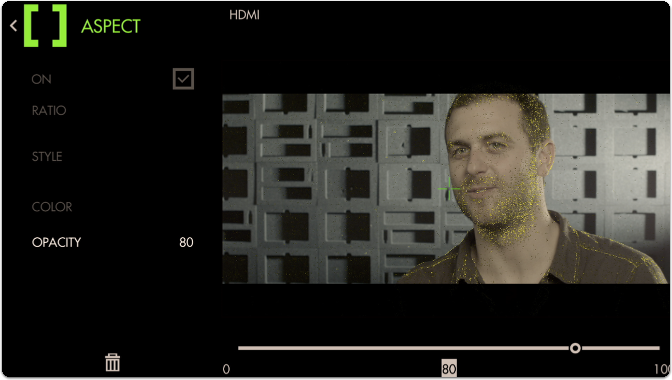 Adding several LUTs to several pages can be a great way to test out looks for a shoot while mobile, enabling creative decisions to be made early rather than in post production. To learn how to create your own color grade in Davinci Resolve and save the result as a LUT to be used on your monitor, check out the tutorial video (19m). As you can see Pages can take very different roles depending on your needs. Don't be afraid to experiment to find the best setups! For an exposure overview, go here. For an overview of our focusing toolset, go here.